Welcome back to part 2 – looking for a job – 8 mistakes to avoid. When looking for work it can be hard not to fall into these little traps, especially if you have been looking for work for a while, or you suddenly find yourself unemployed after years working elsewhere – finding a job 10 years ago, or even 5 years ago has changed dramatically and might not be quite what you are use to. #5 – Be open to trying different or new job search methods. 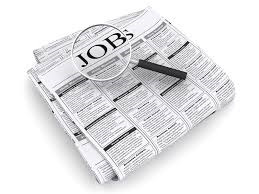 In today’s job market you won’t get far if you only apply for the handful of jobs listed in your local newspaper. These days jobs are advertised on classified online websites, news papers, dedicated websites such as career.com or seek.com – to name a few. On occasion businesses may also list new positions on their Face book or G+ pages. Social networking is fast becoming the new way to find work, plus it gives you the chance to network with others who may be able to help you with your search. #6 – Don’t put all your eggs in one basket. You’ve sent of a bunch of resumes and you’re waiting to hear back – have I got an interview or not? Well, I’ll wait and see…. this attitude won’t work. While it’s good to wait for results, never stop looking. Those 10 resumes might not bring a single interview, even if they do; there is still no guarantee of getting the job….. While you’re waiting – other jobs are slipping by. Sometimes potential opportunities fall through and you are faced with starting all over again. Keep your job search activities consistent until you start your first day at your new job. #7 – Have a clear strategy. In order to be successful when looking for a new job you need to have an understanding of what you want to achieve – you need clear cut goals. If you don’t, you’ll simply lack direction and focus and won’t know where or how to invest your energy and time. Try and avoid the *I’ll know it when I see it* mind set – you may search 6 months or a year and still not find it. Simply know the industries you are targeting and why, what is your career goal? What is your salary goal? And your *game plan* knowing what you want is key to a successful job search. #8 – Always remain aware of your life/work balance. You can’t look for a job 40 hours a week – well, you CAN, but you would probably feel quite run down and dejected in no time. When looking for a job you’ll find yourself more stressed than normal so you need to not only take care of yourself, but perhaps take a little more time out than you’re use to. Remember this isn’t a LUXURY – it’s just part and parcel of a successful job search. Sleep, eat right, rest, do some of the things you love to do – this will in turn provide you with plenty of energy, you’ll be rested and clear headed, and most importantly when it comes to the job interview you’ll be enthusiastic and that will make a great impression. If you feel yourself slipping into one of these mistakes, our simple tips will help you break through these times and stay focused and motivated, so you can achieve the career you want.